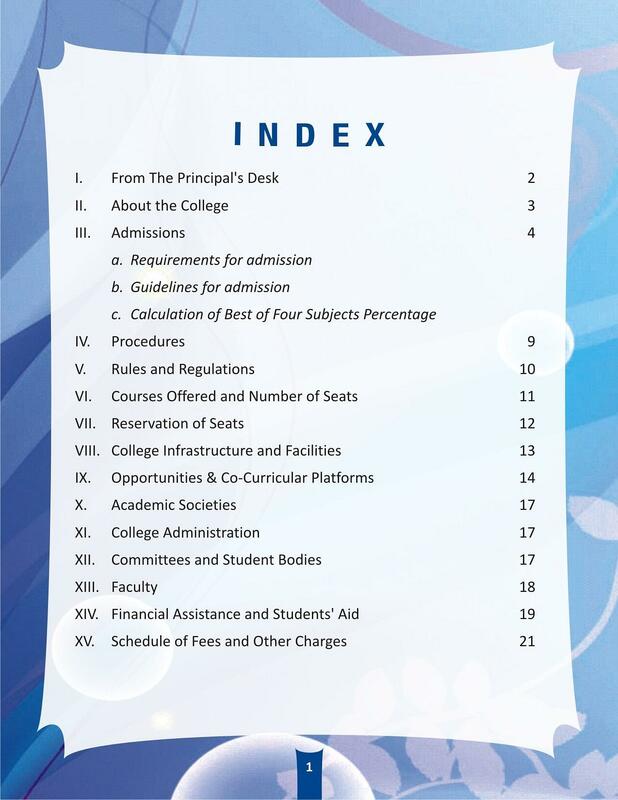 This one is one of the best colleges where you can find a balance in studies and extracurricular activites. You get opportunities to do what interests you. College environment was so good and studious. one can stay as much as long they want to have a discussion with their respective teachers. Faculty is so experienced out of the blue they have such a humor and knowledge which you can use whole of your life. Over all it will be the honor to graduated from this college. At the end I would conclude by saying tha khalsa college just rocks. The students and the staff are just crazy and fun filled people enjoying every part of life. What need to be taken of is the little discrimination among sikh students and others. Overall college is good but I am not satisfied by the infrastructure . Inner infrastructure is good but the building has not been painted properly. The is no ground in the college to play sports etc. Management regularly come and check about the problems that the students are facing and solves the problems. 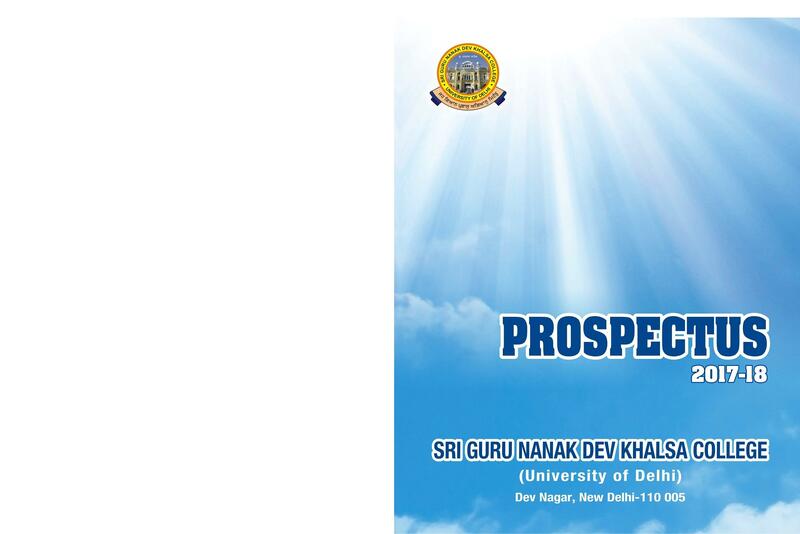 The Sri Guru Nanak Dev Khalsa College is located in a large campus area. 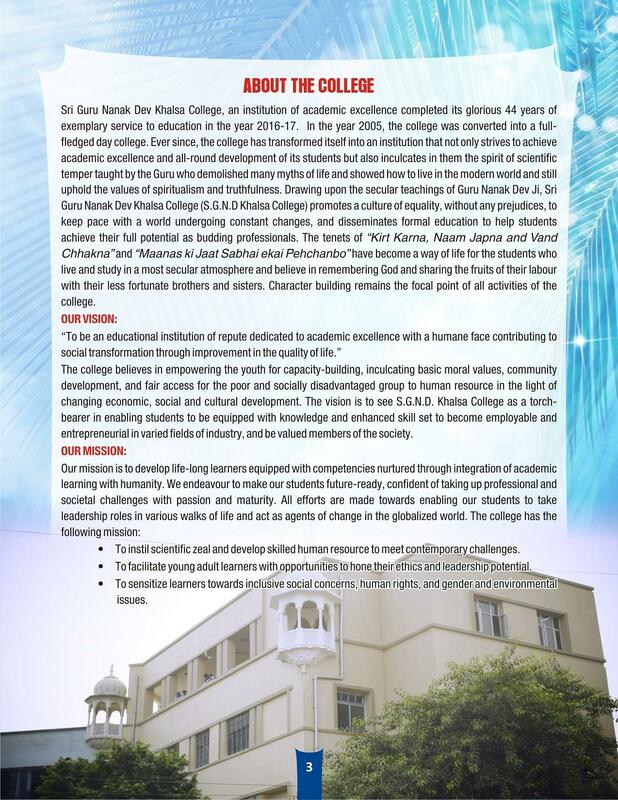 The aim of this institute is to impart quality and value education to the students of the state. It also believes in producing students which are professional and dedicated towards their studies. They are inculcated with various significant qualities and traits by making them participate in academic and co-curricular activities. The students are taught with a blend of technology, skill, and experience. Airport: The college is 19.3 km from the Delhi airport. It is reachable by hired taxi or cab. Railway Station: The college is 12.4 km from the Hazrat Nizamuddin Railway station. It is accessible by cab or auto. Bus stand: The college is 7.5 km from the Naraina Vihar Bus stand. It is reachable by hired taxi or cab. Placement Cell- The placement cell of the college provides the students with guidance and counseling for the jobs. In order to aid them in the process, they are also provided with industrial visits to gain knowledgeable experience. Alumni- The alumni association of the college is active. They are involved in many programs and activities fabricated for the welfare of the institute. They also provide guidance to the student for their jobs and careers. 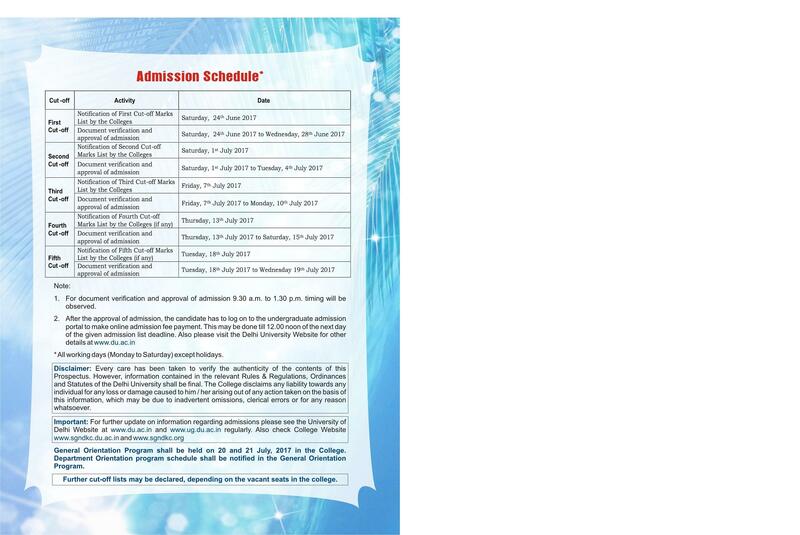 Financial aid and Scholarships- The scholarships are provided to the students who belong to SC/ ST classes. The meritorious students are also provided with financial assistance in the form of stipends or fee concessions. In class 12th, I secured 80 percent marks, got the admission in the college on merit basis. No entrance examinations were given by me. I got 81% marks in CBSE and i got admission from Merit of DU cut off list. I opted for Khalsa because i heard very good about studies and faculty of my college. There was no such particular entrance exam which was required to be given, the students were required to meet the cut off and if the score was sufficient then the student was admitted to that particular course. My percentage were 86%, and I got the seat in 3rd list.